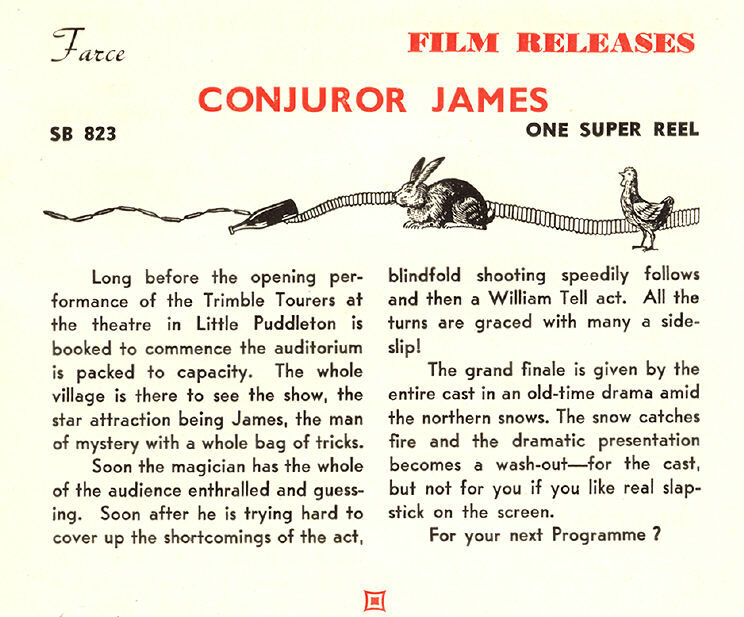 Among the various 9.5mm silent releases in the UK from Pathéscope are a number that mention 'James & George' in the film titles themselves or in the illustrated film catalogue film descriptions - sometimes similar comedies mention other stars' names. 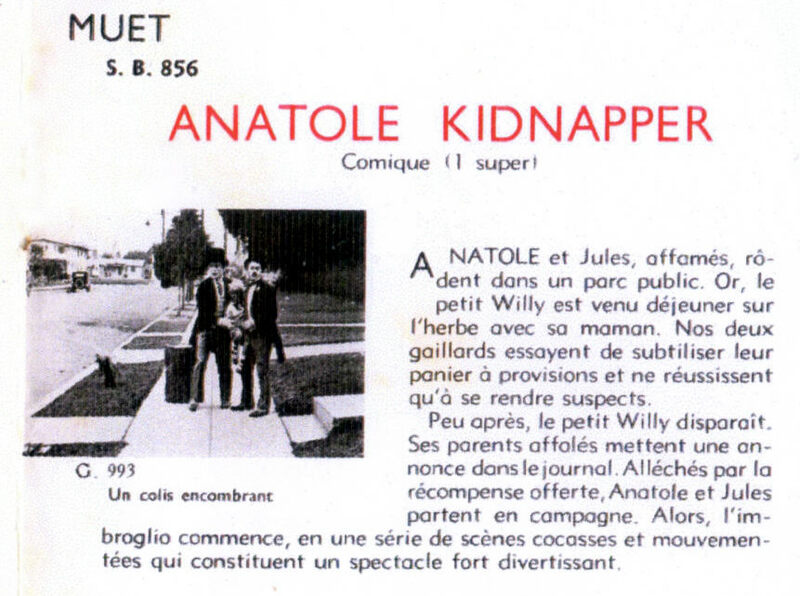 In France 9.5mm silent releases from the Pathé-Frérès parent company often used the name 'Anatole'; in fact these early American silent short comedies from around 1920 appeared in not only French, but also Spanish and German versions - maybe even Italian etc! 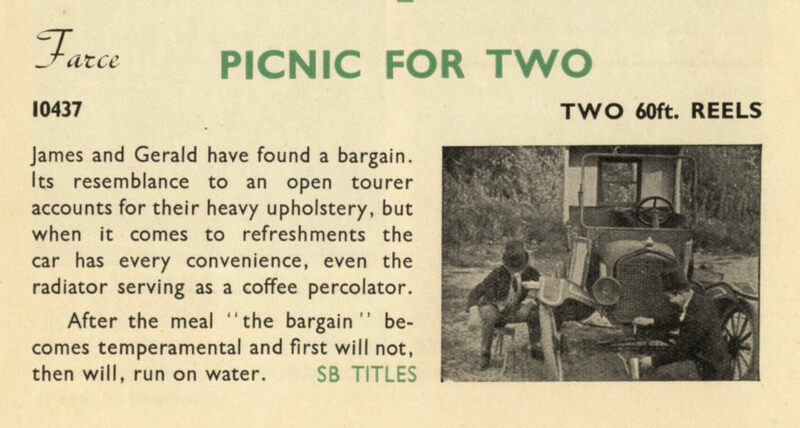 It was easy for silent films - just another set of main titles and intertitles in whatever language was required. 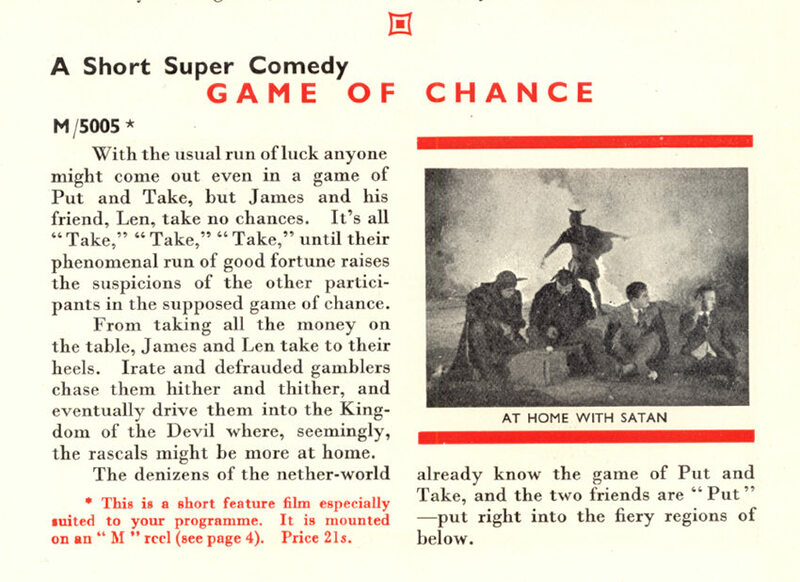 In general Pathé in Europe tended to be a little coy about various early films from overseas - by changing the titles and actors' names thay were often able to avoid paying royalties for the copyright use of this product - saving Pathé good money, but losing the originators a decent income. 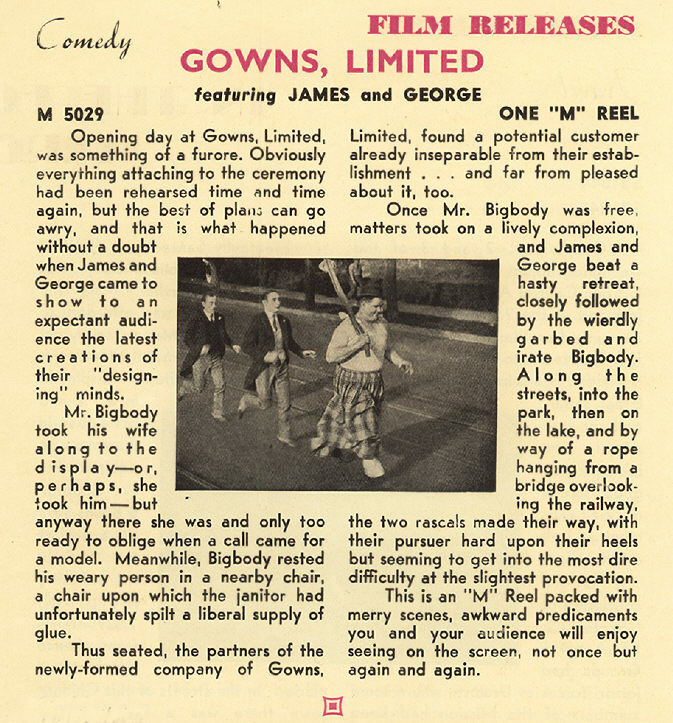 In fact little is known about the films listed as starring James & George - luckily, enthusiasts have managed to identify a few of the real stars of these films marketed originally as 'Hallroom Boys Comedies'. 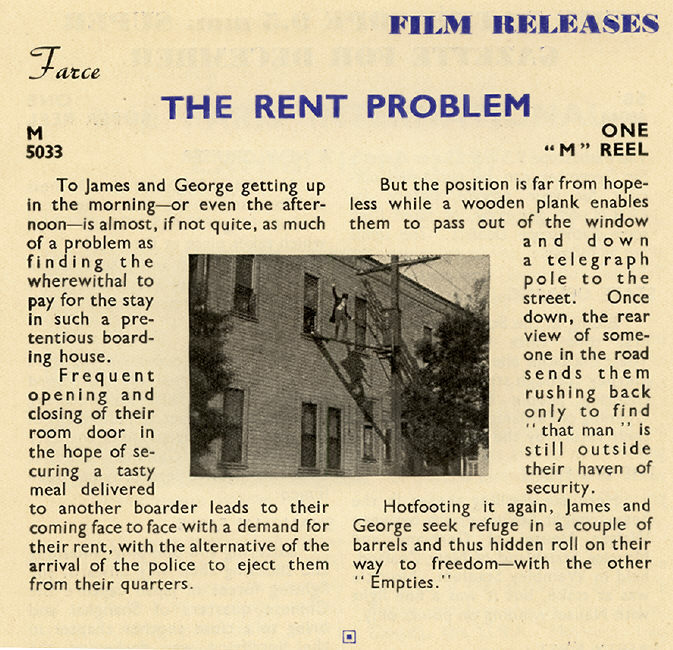 Many of the original Hallroom Boys Comedies seem to be lost - by chance a few now seem to only survive on 9.5mm printed film releases. The Hallroom Boys film series (or was it Hall Room Boys?) was originally based on a newspaper comic strip drawn by H.A. 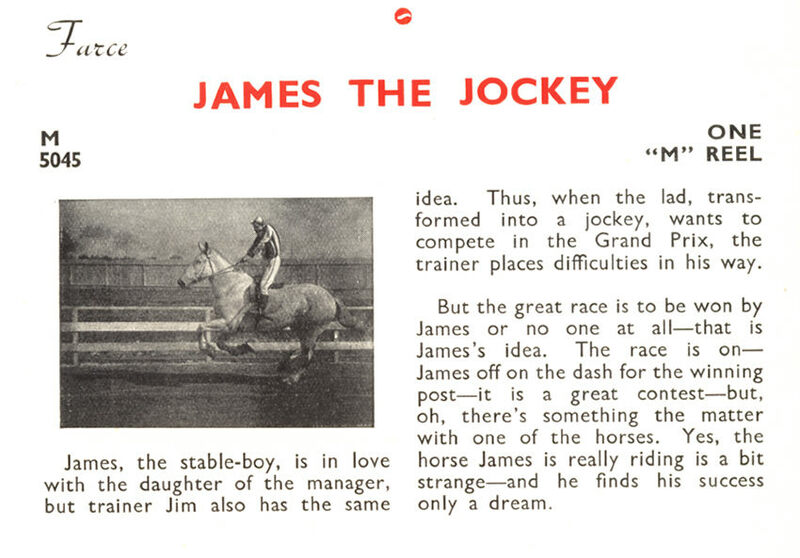 MacGill which had begun in the USA around 1904. 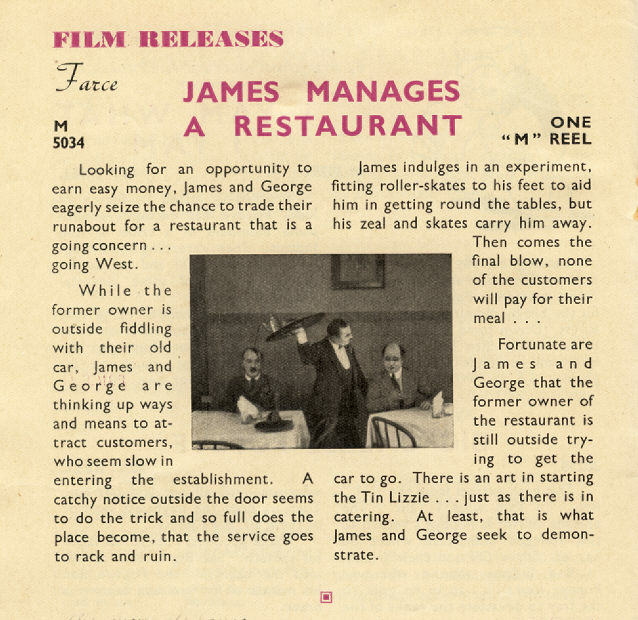 The orginal characters in the film comedy shorts were named Percy and Ferdie, but were played by a variety of actors over the few years the series was being produced. It was around 1919 that Smiling Bill Parsons bought the rights to make a series of films with the newspaper cartoon characters. Sadly he died aged just forty-one after making about a dozen films, the rights were then taken over by Jack and Harry Cohn. It was Harry Cohn who actually produced the Hallroom Boys Comedy film series around 1919 or so - these continued into the early 1920s until about 1923 - his company really the beginning of what later became known as Columbia Pictures. The original company seems to have been The National Film Corporation of America, later it was CBC Film Sales (Columbia Broadcasting Company). 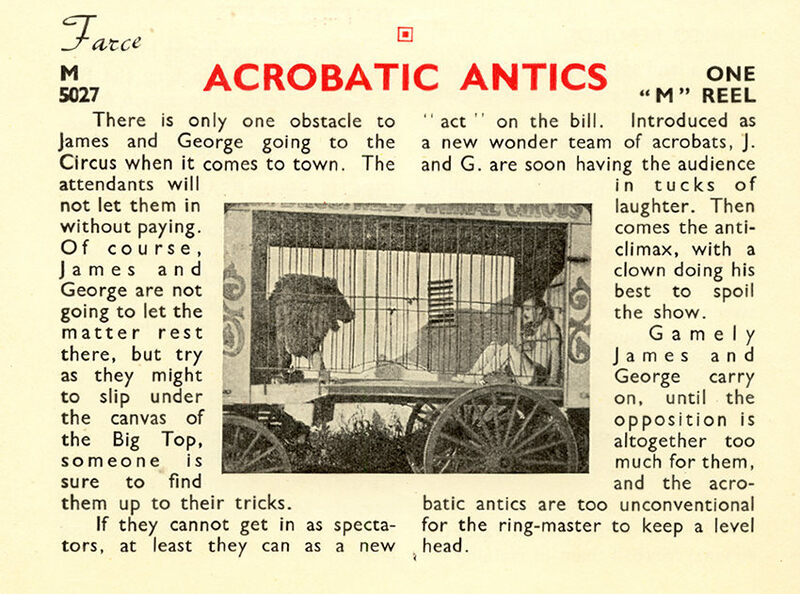 The actors in many of the 9.5mm releases may be Sid Smith & George Williams (Full O' Pep, High Flyers, Holy Smoke, ), also Sid Smith & Jimmie Adams (Game Birds, Nobody's Baby) , Sid Smith & Harry McCoy (Put & Take), others were Neely Edwards & Bud Flanagan (Taming The West). Certainly none of these actors are credited on the 9.5mm printed film releases. 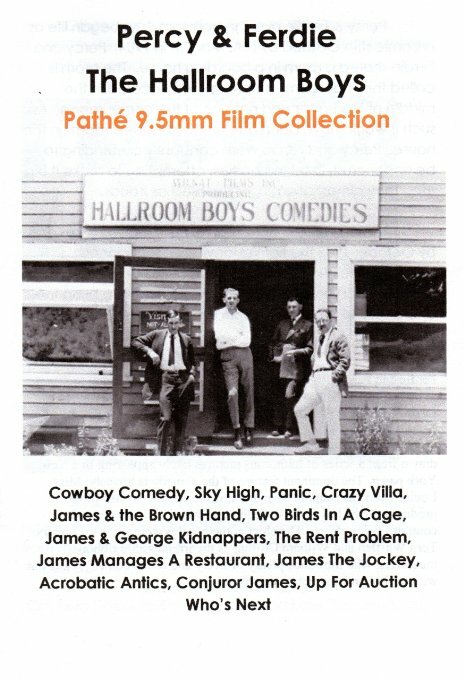 See a 9.5mm Hallroom Boys comedy SB.30051 "An Accidental Champion" on You Tube: "High And Dry"
Well probably not on 9.5mm film - but here is a full length Hallroom Boys comedy on You Tube: "In Bad Again"
Any corrections, additions or identification of 'unknown' films appreciated! 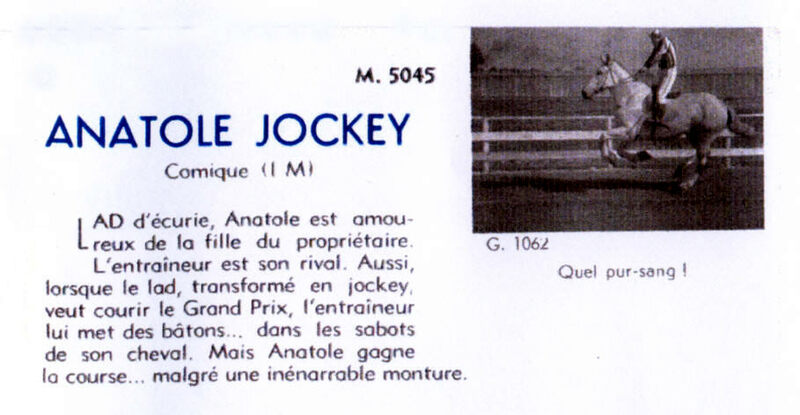 note Pathéscope got the reference number wrong - it's actually 10439! 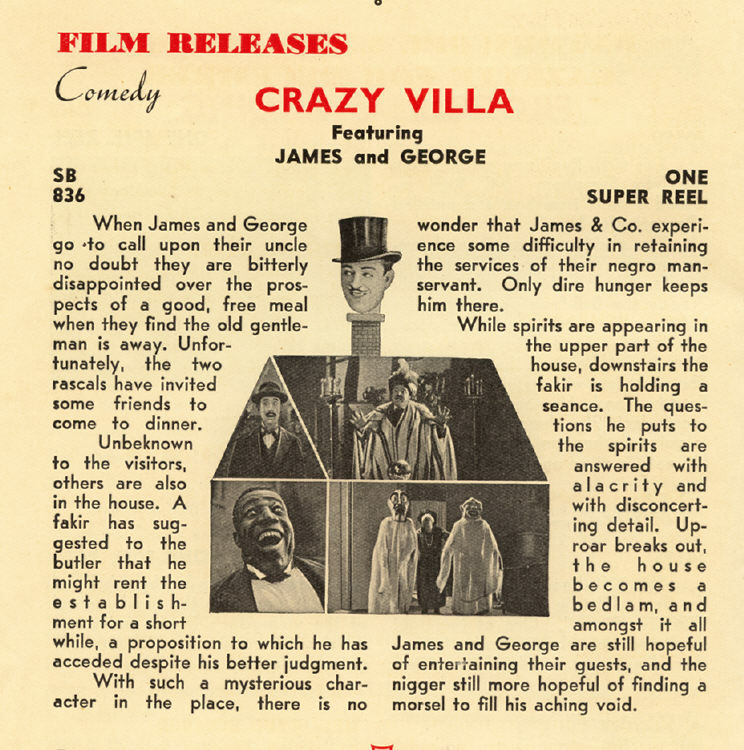 the photo suggests this short film comes from the American Hallroom Boys Comedy: "In Bad Again"
the plot description suggests this short film comes from the UK Hallroom Boys Comedy release "Crazy Villa"
but what is the original American title of this Hallroom Boys Comedy film? 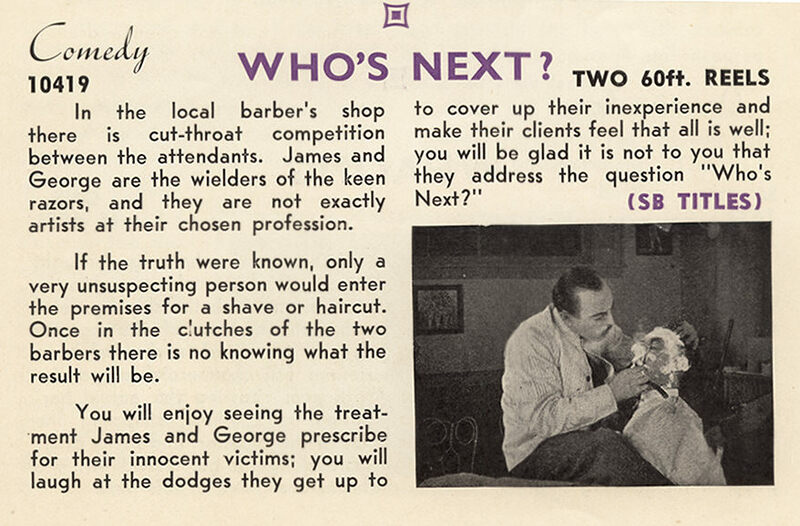 seems likely this comes from the Americal Hallroom Boys Comedy "A Close Shave"
but what is the original American title of this Hallroom Boys Comedy film - "Matinee Idols" maybe? this appears to be the first 'M' reel (200 foot spool) from Pathéscope! but what is the original American title of this Hallroom Boys Comedy film - "False Roomers" maybe? but what is the original American title of this Hallroom Boys Comedy film - "At Your Service" perhaps? 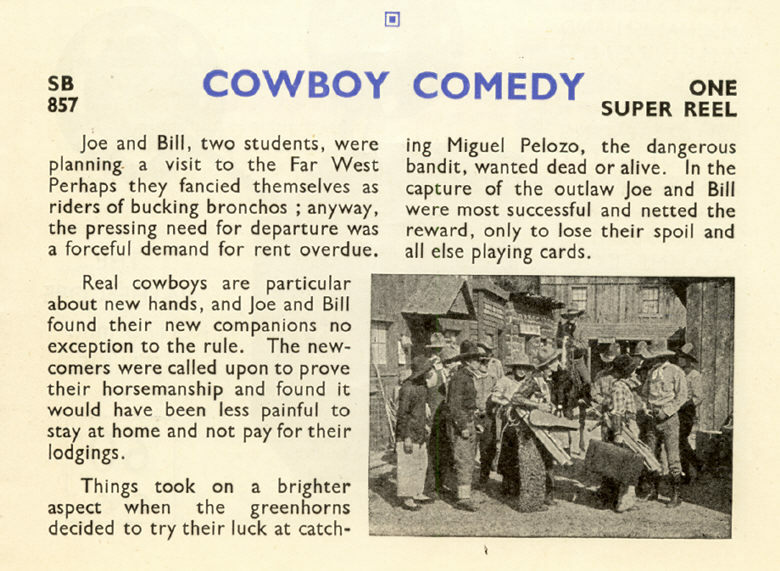 the original American title of this Hallroom Boys Comedy film is believed to be - "Circus Heroes"
the original American title of this Hallroom Boys Comedy film is believed to be - "Taming The West"
but what is the original American title of this Hallroom Boys Comedy film ?